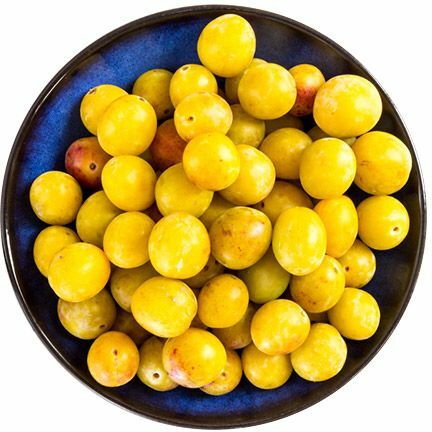 Mirabelle plum, also known as the mirabelle prune, is a fruit primarily cultivated in the French region of Lorraine that, because of its rich, sweet flavors, are often found in deserts and spirits. However, one brand has discovered the intense moisturizing power of the plums, and has created a moisture- and biotin-rich restorative hair line. Hydrating deeply into the hair follicle as well as fortifying ingredients, like biotin and olive oil, for healthy hair growth, the Carol's Daughter Mirabelle Plum (Healthy Growth and Max Hydration) line finds the right balance of moisture for all hair types but is perfect for pampering fine, weak, and very dry hair. From shampoos and conditioners to masks and oil treatments, Mirabelle Plum will instantly strengthen damaged, fragile, and frizzy hair. The line offers the best of both worlds, no matter that texture—hair growth and max hydration. The Sulfate-Free Biotin Shampoo is the ultimate solution for weak hair, as biotin helps stimulate and fortify hair for stronger, healthier growth, and the luxurious blend of grapeseed oil and mirabelle plum oil intensely hydrates and conditions, offering maximum moisture for all hair types. Which should be followed by the Restoring Biotin Conditioner, a creamy conditioner restores moisture and promotes healthy hair growth, leaving hair softer, shinier, and easier to detangle. You can’t have a moisturizing hair line, without a leave-in, and the Leave-In Biotin Conditioner encourages healthy hair growth while moisturizing hair with this weightless, silicone-free conditioner, and it can be used on wet or dry hair to refresh your style. Then there’s the Strengthening Hair Mask, which strengthens as it conditions with the power of biotin when it's allowed to sit in hair about five to seven minutes once per week for best results. Or try the Hair Oil Treatment, a deeply hydrating treatment that prepares hair for non-stripping cleansing, restoring and softening follicles without weighing them down. Can be used as a hot oil treatment, or simply as a deep conditioner. You deserve the best, and this collection will spoil you.